Over at the EChurch Blog Stuart James has posted a link to the Nativity Factor. The Nativity Factor is a competition sponsored by ITN in the UK. Entrants were asked to create a 30 second to 3 minute long video in which they creatively (re)tell the story of Christ's birth. At last count 66 clips have been loaded. You can watch the others at the Nativity Factor web site and vote for your favorite. Some of these would work very well as part of a sermon. I Have posted my four favorite below. This one is a retelling of the story from the Inn Keeper's perspective. This one was entered in the under 16 group. Very creative way to use Legos. This one is a bit more hip. This one is very different than the other three. It shows scenes of modern day Bethlehem and reminds us that although the city is very different today than it was 200 years ago, some things are similar. Bethlehem in the first century and the twenty-first century is an occupied city. And yet it is a place of hope. The Theology of Gilligan's Island: Who'd of thought it? Gilligan's Island was one of favorite shows growing up. The reruns were aired everyday on channel 5. I have probably seen every episode including the TV movies Escape from Gillian's Island and Return to Gilligan's Island. But little did I know that while I was watching the show I was also learning theology. I didn't not realize that the island was actually hell, Gilligan the devil and that each character was a metaphorical representation for the Seven Deadly Sins. At least that is what its creator Sherwood Schwartz claimed. Below is a short piece that appeared on NPR in 2008, but was only brought to my attention recently. Poor castaways. Each week they would devise a way off the island. Each week Gilligan would thwart their escape usually with the best of intentions. 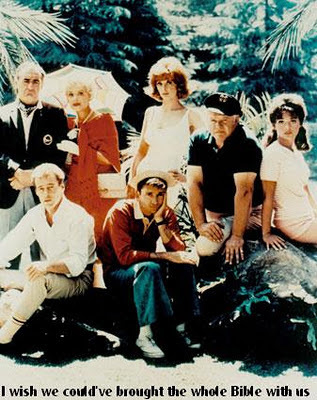 Years after the show ended, its creator, Sherwood Schwartz, admitted that each of the characters represented one of the seven deadly sins Pride (the Professor), Anger (Skipper), Lust, (Ginger), and the rest. Gilligan was supposed to be Sloth. But a closer viewing indicates that the island may well have been Hell — and the red-clad Gilligan the devil who kept them on his island. The greatest part of the metaphor, though, is that if the others ever wanted to get off the island, what they needed to do was kill Gilligan — and that each of us has our own inner Gilligan, that sweet-natured, well-meaning part of us that always sabotages us from getting what we really want. Maybe if we truly want to succeed in life, we need to kill our own inner Gilligan. I suppose watching Gilligan's Island may have had a profound influence on my becoming a biblical scholar. Of course, at one time I probably knew Gilligan's Island better than the Bible. I wonder, however, if any of this is true or if it is just a way to get people to keep watching a silly show. No matter, if I would see it on today I would still sit down and watch it. The Jerusalem collection is a well-known feature of the Apostle Paul's story. According to Acts and some of Paul's letters, Jerusalem was suffering a severe food shortage (Acts calls it a famine). Paul took it upon himself to gather a collection from among the Gentile churches he founded and to present it to the Jerusalem church. It was Paul's way of showing the Jewish believers in Jesus that the Gentile believers were concerned for their fellow Christians in Judea. It was also Paul's way of demonstrating that he understood that Jerusalem was still the center of Christianity, the home base of the movement. So was it a bribe? Was Paul attempting to use the generosity of the Gentile churches as a way to get approval from the Jerusalem authorities for his Gentile mission? Was this what Paul means in Galatians 2:9-10 when he recounts that James and John endorsed his mission, with the proviso that he "remember the poor"? Was it a polite bribe? That is how some New Testament scholars have described it. 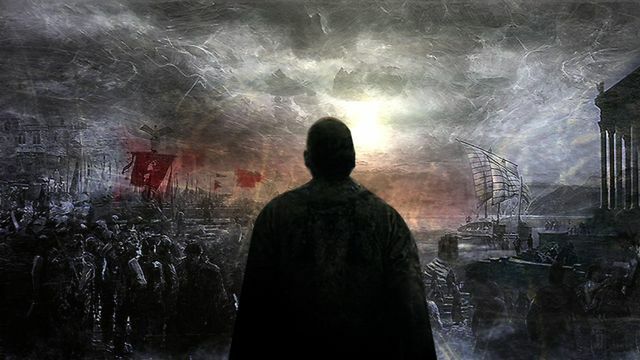 And now it is the basis of a new film about the Apostle Paul. Robert Orlando is the writer and director of the soon to be released A Polite Bribe. This movie/documentary looks at the story of Paul and the collection that he gathered for the Jerusalem church. 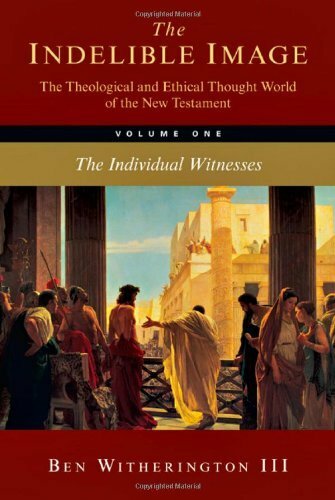 It features a wide selection of New Testament scholars from across the theological spectrum. Below is a trailer for the film. The promotional web site also contains a number of short video clips featuring some of the scholars interviewed in the film. The trailer says it is being released in "select theaters" on December 29th. Somehow I don't think Ashland will be one of those "select theaters." I will post more as information becomes available. A Polite Bribe: Trailer Nov 2011 from The Paul Story on Vimeo. Here is a bit of fun for a Monday. One of the all time classic rock songs is Queen's Bohemian Rhapsody. I just don't get tired of hearing it. And I have Jimmy Dunn to thank for a new appreciation for Queen's music since Bohemian Rhapsody is also a favorite of his. I have fond memories of sitting in Durham Cathedral during the SNTS conference listening to the North East choral group performing the song for us. Well in honor of Christmas, here is a seasonal version of that song. Bethlehemian Rhapsody. Congrats to Mike Suh! He is the winner of this week's giveaway. Mike has won Ben Witherington's - The Indelible Image: The Theological and Ethical Thought World of the New Testament Vol. One (IVP, 2009). Mike, send your details to jbyron@ashland.edu and I will send the book out this week. Remember, you have 5 days to claim the book. Didn't win this week? 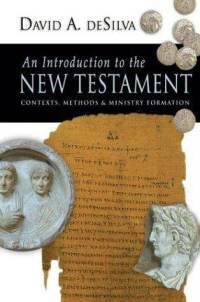 Check back next Friday with I will be giving a way a copy of David deSilva - An Introduction to the New Testament: Contexts, Methods & Ministry Formation (IVP, 2004).